Finding the right nutritional supplements for these problems can be a chore, but maybe we can help with our Special Nutrients. On this page we are introducing 4 new special nutrients that will help to optimize eye health, bones, teeth, digestion, and one that is a colon cleanser. Please take the time to read about each one, and maybe it will be just what you were looking for. Deteriorating vision, such as blurriness, difficulty focusing, visual distortion, and age related Macular degeneration has become all too common. Research clearly shows that poor nutrition is one of the leading causes of deteriorating vision as we age. 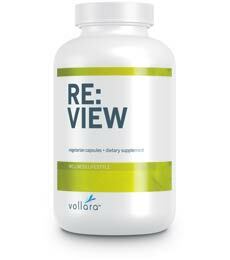 Our Special Nutrients Re-View provides a potent blend of the specific antioxidants, herbs, vitamins, and minerals to help you maintain healthy eyesight. This exclusive blend includes ingredients clinically proven to protect the eyes and help preserve vision. Nourishes both eyes and vision. Helps protect the eye from UV damage. More and more people are beginning to realize the importance of calcium in protecting their bones and teeth. Also for the treatment of osteoporosis. However, calcium alone is not enough. You need a balance of calcium, magnesium, copper, and zinc for optimum bone and teeth health. 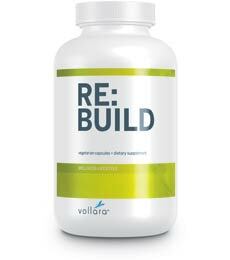 Our special nutrient Vollara's Re-Build has a balanced blend of these most necessary minerals. Helps to prevent osteoporosis when combined with a healthy lifestyle. Formerly Healthy Bones and Teeth In order to keep our bones healthy, we need adequate levels of calcium and vitamin D. Some of these nutrients can come from the foods we eat, but we are unable to meet the needs of our body through diet alone. Supplementing your regular diet with Re:Build, an all-natural formula containing calcium, vitamin D, magnesium, copper and zinc, can help support healthy bones and teeth. More and more people are realizing the importance of calcium in building strong bones and teeth. However, calcium is not the only mineral needed to support healthy bones. The body also needs adequate levels of high-quality magnesium, copper, and zinc - all of which can be found in Re:Build. Our special formulation includes Vitamin D3 which is essential in calcium uptake. Proper food digestion is the key to getting the most nutrition from your meals. Although digestive enzymes occur naturally in food, they are sometimes destroyed by commercial growing, cooking, and processing methods. 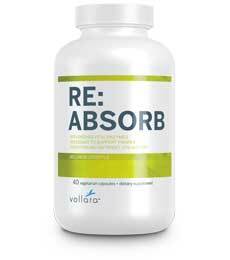 The enzymes in our RE-Absorb (formerly Digest A Meal) Special Nutrients replace those lost in cooked and/or processed foods, and helps your body absorb the nutrition that you need. Increases the utilization of protein, carbohydrates, and other nutrients for building muscle. Assures that the nutrients from food are absorbed by the body. Click here to purchase "Special Nutrients"